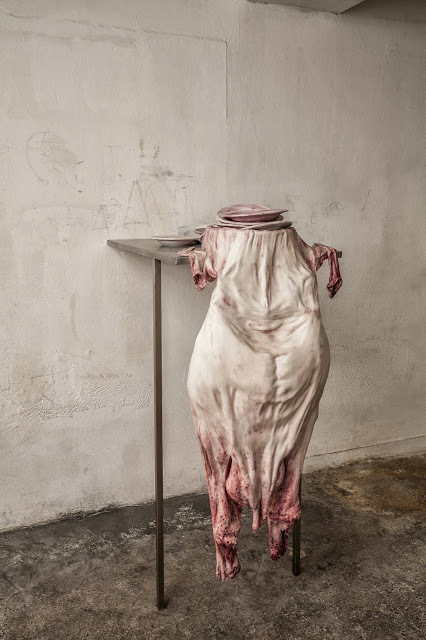 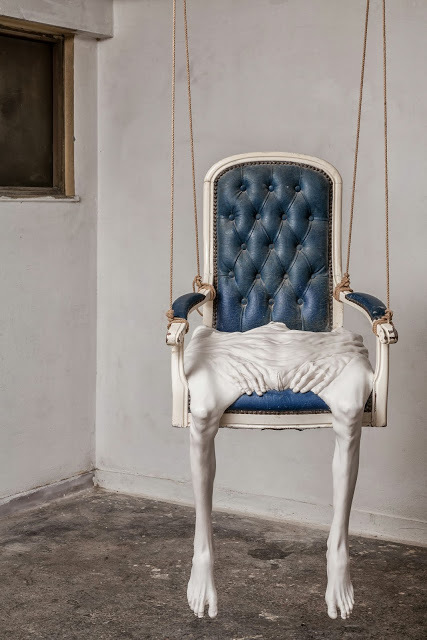 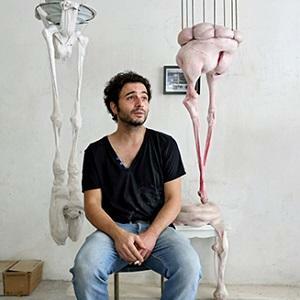 Francesco Albano’s human body sculptures drip, melt, hang, and often appear to be boneless – even the work primarily featuring bones is distorted and lumpy. 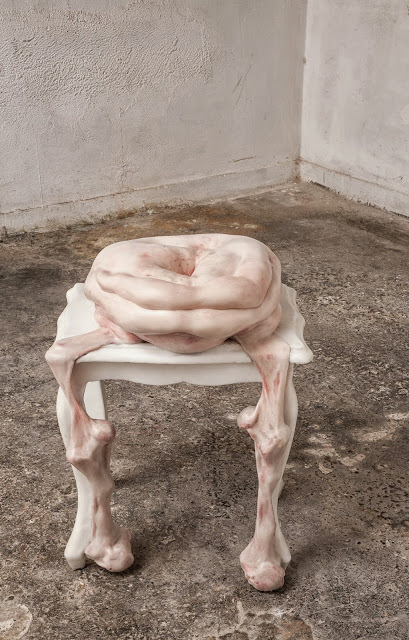 Working with wax, polyester, latex, iron, and other materials, Albano sculpts shapes and contortions that render the erect and boundaried body flaccid and grotesque. 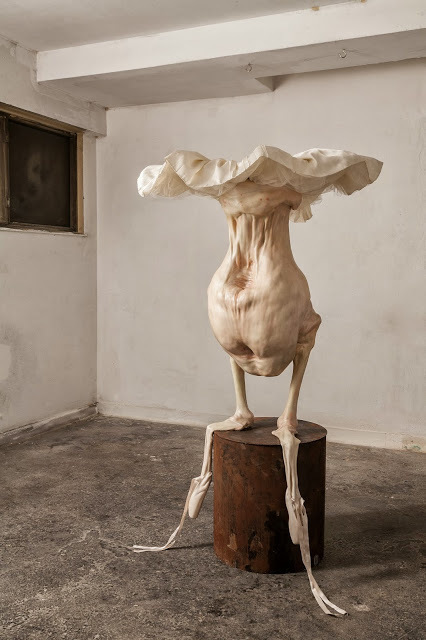 Albano is interested in and influenced by a wide range of subjects from philosophical, mystical and spiritual arguments to scientific theories, from psychological studies to real life stories. 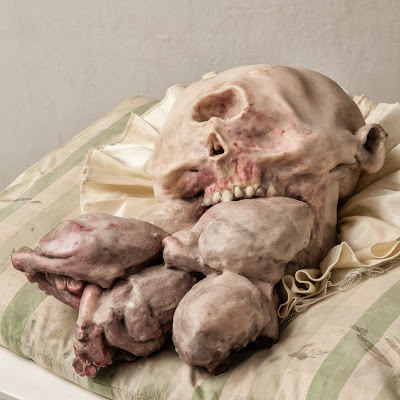 Albano uses skin and bone as a critical and personal tool of expression to focus on the effect of societal pressures and psychological violence on the human body and collective conscience. 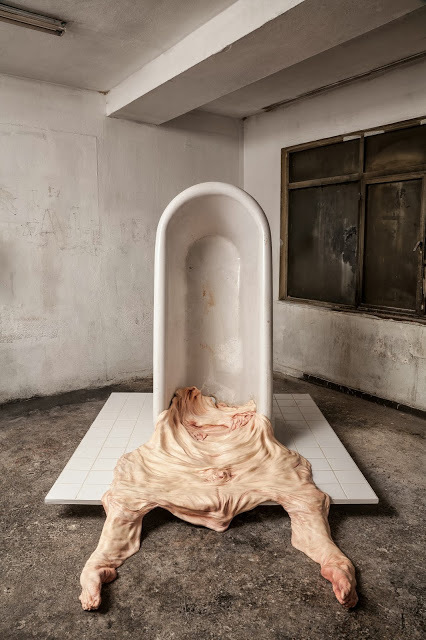 More than an inner envelope the artist defines the human skin as a limit and an identity, that interacts with outer world.